If you’re looking for an easy way to decorate your dull and boring home, one of the best and easiest ways to turn your house into a welcoming home is by bringing the outdoors, in. You can accomplish this by adding lush and colorful greenery to you every room in your house. By placing a simple green plant in your home, you bring character, beauty, and depth, into your space. If you don’t have a lot of space in your house, you can still add beautiful greenery with hanging plants. You can use hanging basket plants to decorate the inside of your home, adding variety, color, and dimension to bare walls. The perfect time to start the process of growing new hanging plants in baskets is in the early spring. Indoor hanging plants are especially convenient for those that don’t have garden space in their yards. Hanging plants are beautiful, and because of they are easy to grow and maintain, they have become trendy in recent years. 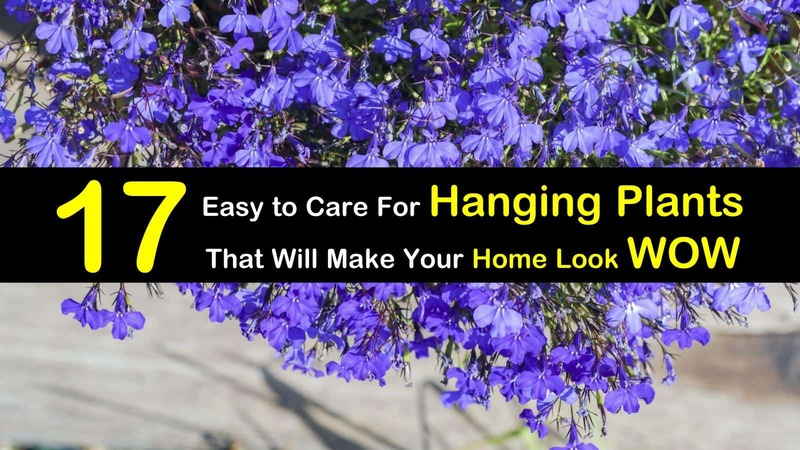 There’s a large variety of options to choose from when deciding on a hanging plant to bring into your home. 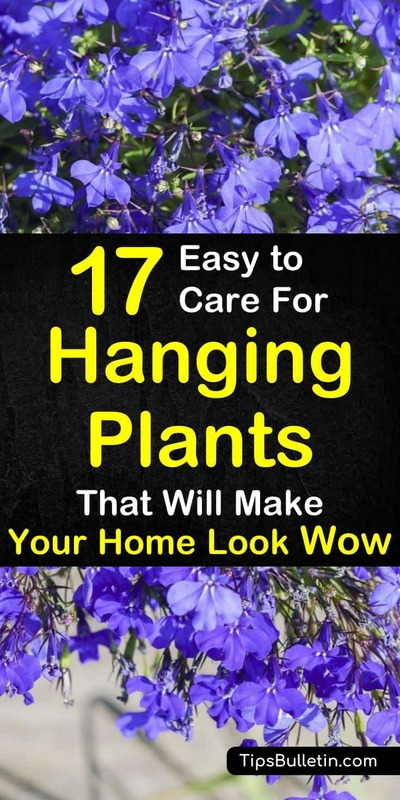 Here are the 17 of the best hanging plants to turn your house into a home. 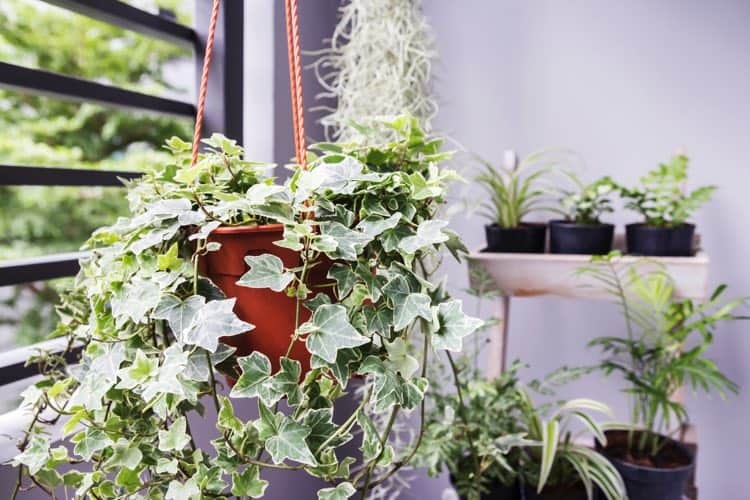 Indoor ivy like Algerian ivy (Hedera canariensis) and Persian ivy (Hedera colchica) are typically planted in hanging baskets. The most common issue that people have with growing vines is either not watering enough or overwatering the plant. Make sure that the bottom of the pot has a drainage hole to prevent root rot. The American flame flower, also known as carpet plant, has cascading leaves that are green and bronze in color. An ideal plant for hanging baskets, its blooms are yellow, white, blue or red. To encourage more growth, pinch the flowers back after they’ve finished blooming. The red ivy is a foliage plant that likes to spread out on the bottom of the basket. Its leaves are silver colored on the top and purple underneath. It’s white flowers bloom in the spring and throughout the summer. One of the more versatile indoor hanging plants, the pothos is one of the houseplants that can purify and clean the air. It absorbs and strips toxins, like formaldehyde, which is present in cushions and carpets. They enjoy a variety of environments and do best when placed in low light. 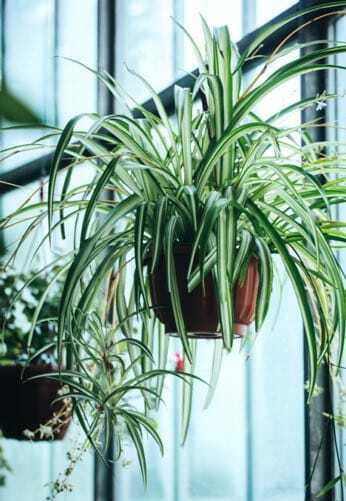 The spider plant’s unique appearance will add visual interest to any room and make wonderful bedroom plants. 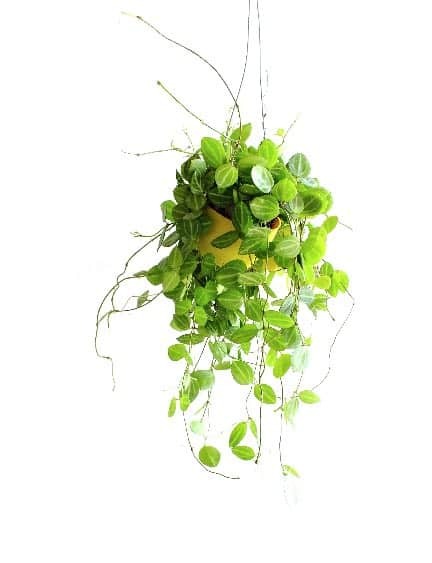 It is one of the most popular hanging plants and thrives well in bright to medium light. It is easy to grow, making them a great starter plant for beginner gardeners. The English ivy is known for its timeless elegance. It is easy to grow and is perfect for minimalistic décor. It requires the soil to be moist and thrives best in cold temperatures. You can start a new plant with a single section of its stem. 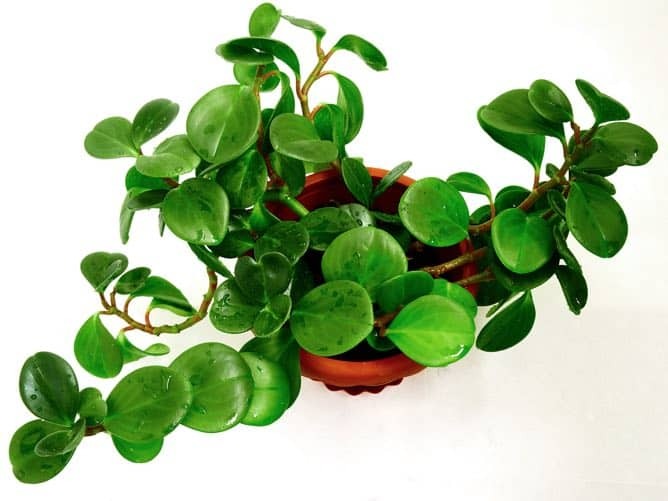 The Jade plant is an exceptionally robust hanging basket plant and is easy to grow and maintain. They are considered good luck symbols, making them a great addition to your home office. It is not only an excellent hanging plant, but also is one of the best low light houseplants. 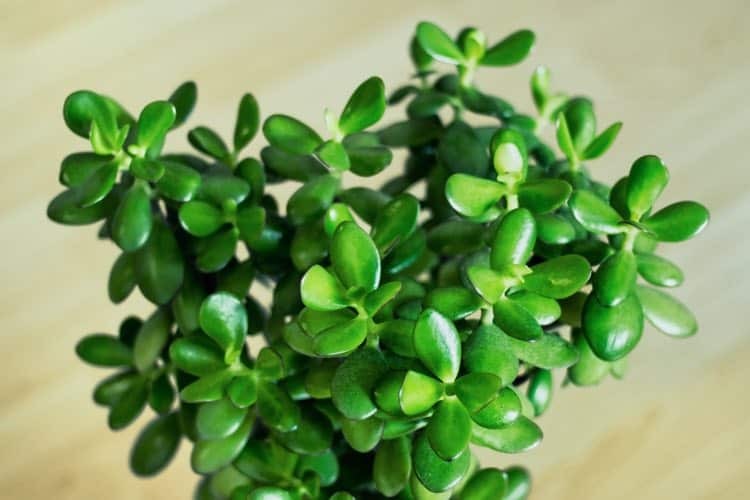 With proper watering and maintenance, jade plants can last for at least 20 years. 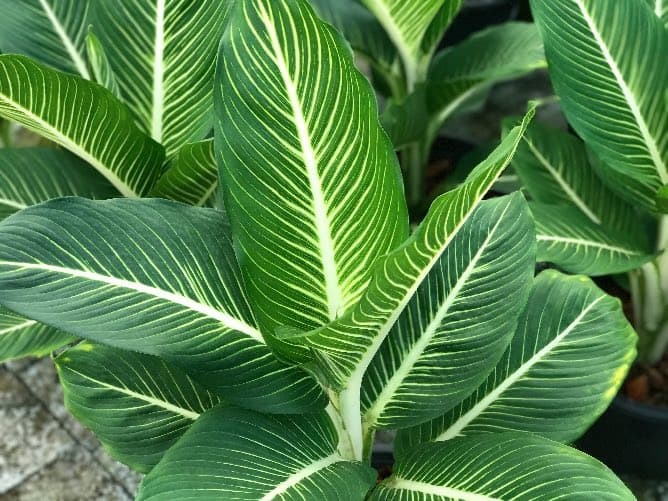 Tropical in nature, the dumb cane, or dieffenbachia, thrives in dry climates. 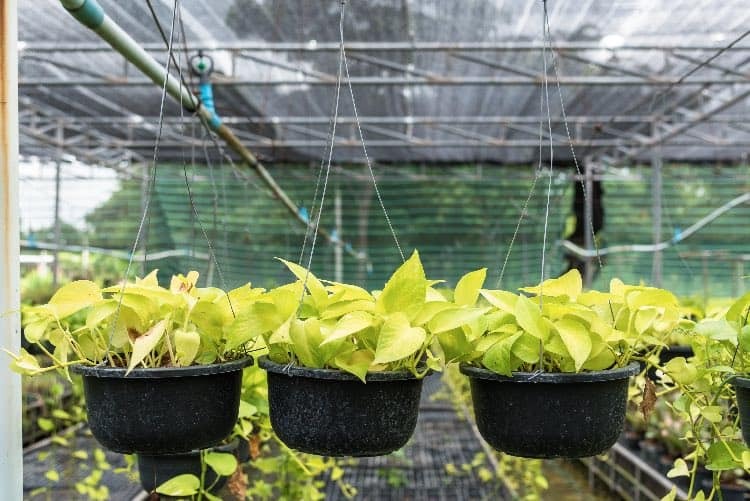 They are incredibly adaptable to a variety of different kinds of lighting and soil conditions, and you can grow them in copper pots as well as hanging baskets. Like with most houseplants, too much moisture can spell trouble. Peace lilies are popular choices for indoor basket plants. Like the pathos, the peace lilies will clean indoor air, removing contaminants like benzene and formaldehyde. They are evergreen perennial plants that will bloom every year and don’t require much water or sunlight. 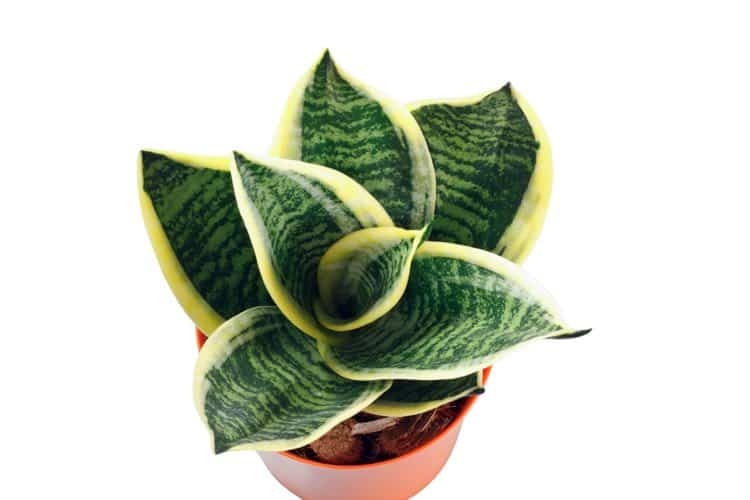 The snake plant, also known as mother-in-law’s tongue, is easy to grow and requires little maintenance. They are incredibly tolerant and can survive in drought and low light levels. They are also great for keeping the air inside your home clean by removing toxins. 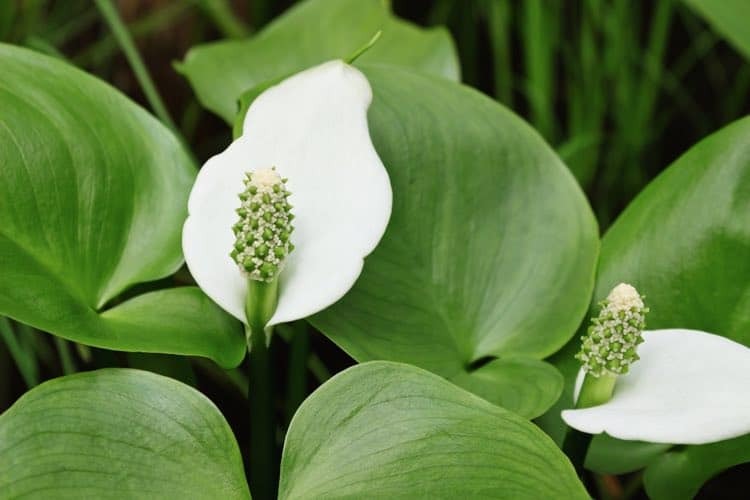 Sidenote: Do not confuse the snake plants with hostas one of many easy to grow perennials, as the leaves look very similar. 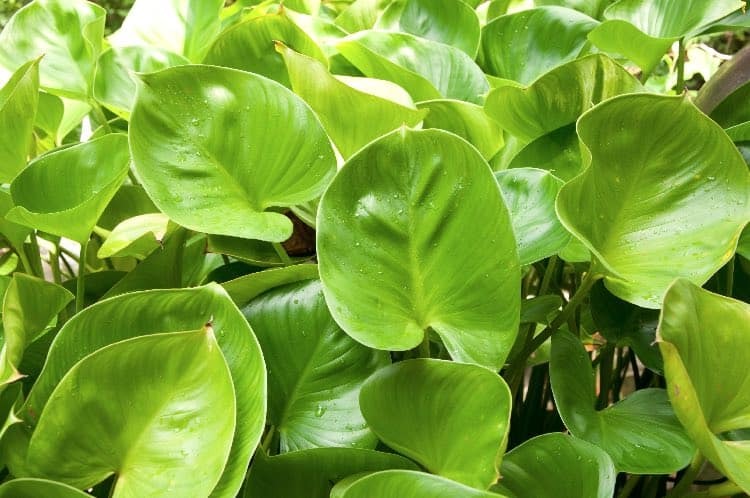 The heart-leaf philodendron is best known for its dark green, heart-shaped leaves. 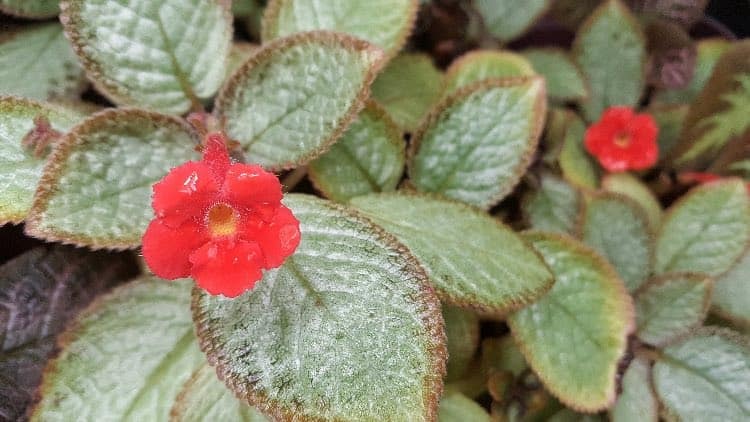 They are an easy to grow foliage plants that prefer to be in direct sunlight but does well in just about any kind of light. It is especially flexible, allowing it to be placed anywhere throughout your home. These hanging plants are known for their ornamental foliage. 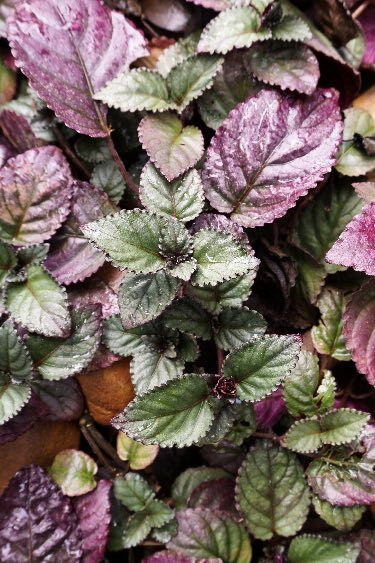 They are easy to grow and are one of the smaller houseplants, so you don’t need a lot of room. 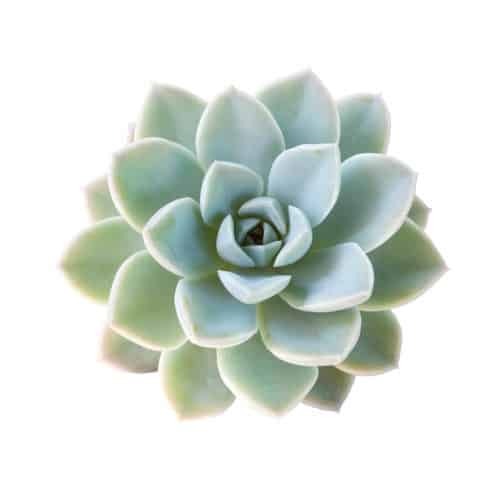 They thrive in medium or bright sunlight and are drought tolerant. 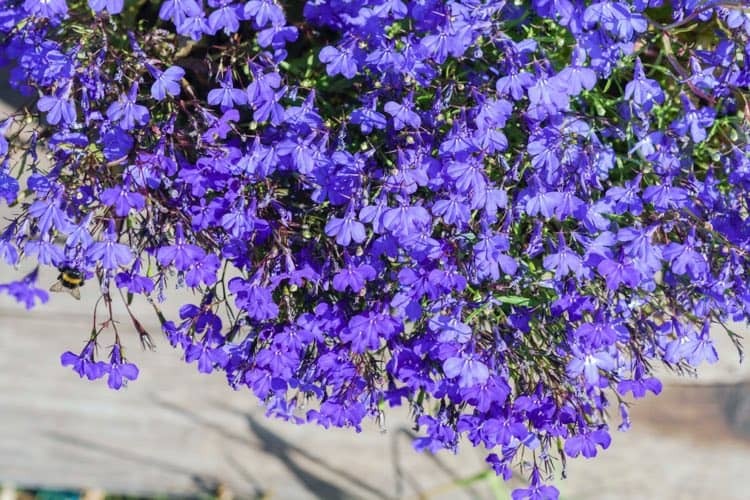 This stunning perennial plant not only makes a great hanging plant but is edible as well. 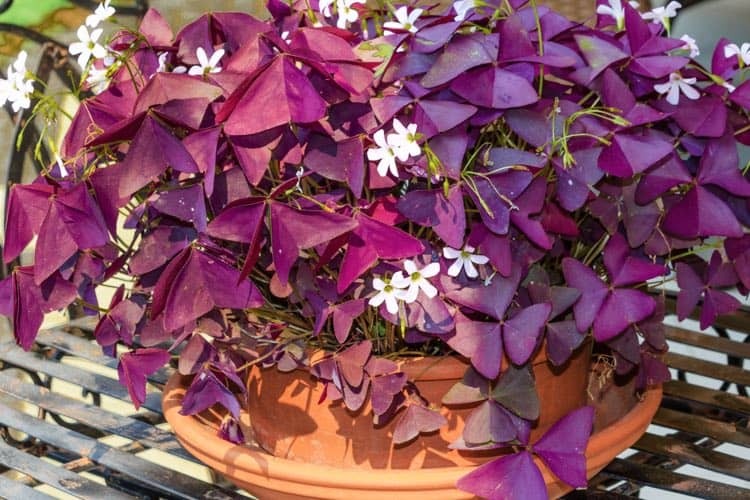 The bright purple leaves make it a beautiful ornamental plant in nature. It requires full, bright sunlight and cold temperatures to grow. The painted lady is an evergreen succulent plant that boasts characteristic pagoda-shaped leaves. It can survive extended dry periods, and its yellow bell-shaped flowers with red tips make their appearance during the winters. Lavandula angustifolia is a flowering plant in the family Lamiaceae, native to the western Mediterranean, primarily the Pyrenees and other mountains in northern Spain. A favorite for its fragrant aroma, which makes it one of the few plants that repel mosquitoes and flies. 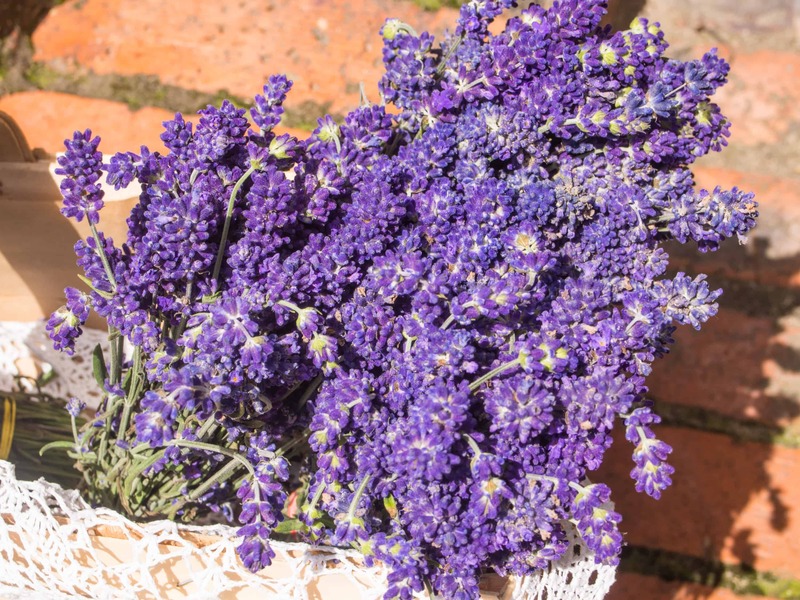 Lavender is an easy-to-care-for hanging plant that thrives in dry soil. They grow best when you place them in an area that receives plenty of sun and thrives in warm temperatures. An excellent houseplant, lobelia can be grown anywhere. It’s white, pink and blue flowers are gorgeous and can add a level of charm to your décor. It is low maintenance and enjoys cooler climates. 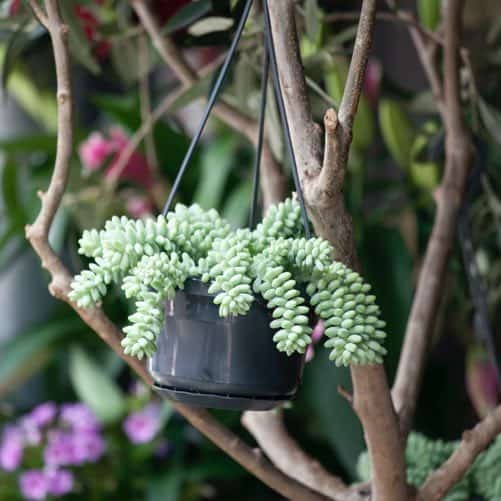 Also known as Sedum morganianum, the Donkey’s Tail is a long-trailing succulent plant. Its vibrant green leaves will draw immediate attention. It grows best in full sunlight, with regular watering during the year. Hanging house plants not only bring color, texture, and warmth to your home, but many are exceptional at improving the air quality of your home. Bringing hanging plants into your home will also boost your mood. They are easy to grow and maintain, making them the perfect addition to any home. We hope you learned some valuable information about the best hanging plants to hang in your home. If you found this article helpful, please pass it on to all your friends and family.